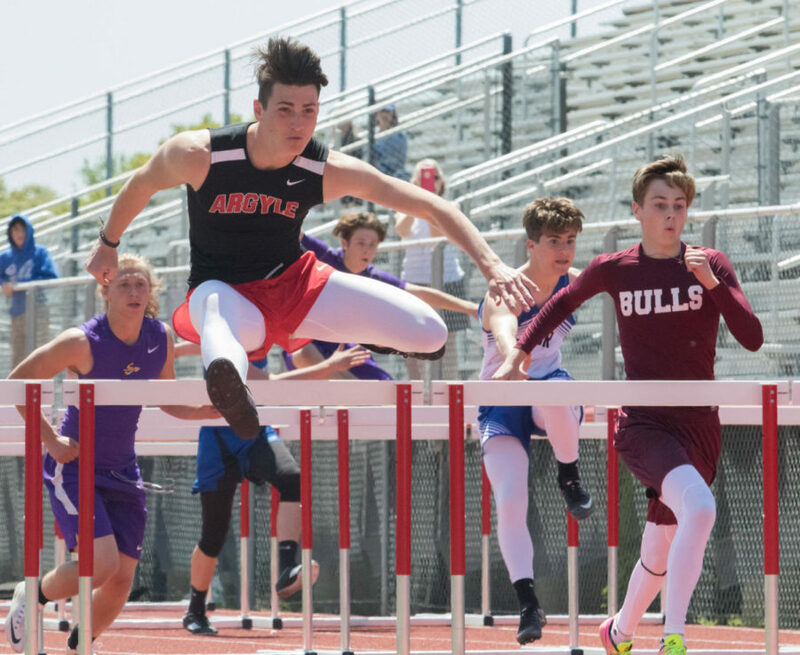 On April 11 and 12, the Argyle track team competed in the district track meet. Argyle came second in the track meet behind Decatur, scoring 258 points to Decatur’s 375. In the field events the Argyle men’s team won three out of five, including the high jump event where senior Trent McCloud won with a height of 6 feet 4 inches. In the shot put event Preston Wilson won district with a throw of 47 feet 4 inches, and for the discus event he threw for 139 feet 4 inches. The Argyle track team also won a few running events, including the women’s 800 meter that was won by Sophomore Lani Rodgers with a personal record of 2:25.43, winning by 5.69 seconds. Trent McCloud won the 110 meter hurdles with a time of 15.53 seconds, winning by .57 seconds. Madison Peltier won the 300 meter hurdles with a season record of 48.73 seconds, winning by half of a second. Argyle will have their best track and field players compete in the area track meet at Decatur High School on Wednesday, April 18. The first event will start at 10:00 A.M.